Using compelling evidence from the records and diaries of early Australian explorers and colonists, he reveals that Aboriginal systems of food production and land management have been blatantly understated in modern retellings of early Aboriginal history, and that a new look at Australia's past is required - for the benefit of us all. 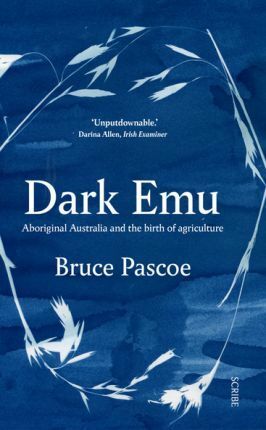 Dark Emu, a bestseller in Australia, won both the Book of the Year Award and the Indigenous Writer's Prize in the New South Wales Premier's Literary Awards. Bruce Pascoe lives in Australia and has a Bunurong, Tasmanian, and Yuin heritage. Dark Emu won both the Book of the Year Award and the Indigenous Writer's Prize in the New South Wales Premier's Literary Awards. Bruce is currently working on two films for ABC TV and a novel.